Despite growing concerns over the impact that Brexit might have on fintech startups in the UK, new figures have revealed that the sector has seen record investment throughout the year so far. According to data from London and Partners and Pitchbook, over $1 billion has already been invested in UK fintech by venture capitalists which is more than double that of the same last year. In 2015, $1.16 billion was invested in the sector and this show of confidence helped establish London as Europe's fintech capital. However, this year could see investment in UK fintech reach over $2 billion for the first time after already reaching a record of $1.8 billion during the first three quarters of 2017. The UK is responsible for driving the investment and eight out of the 10 biggest deals of the third quarter took place there including $66 million for Revolut, $500 million for Receipt Bank and $40 million for Prodigy Finance. 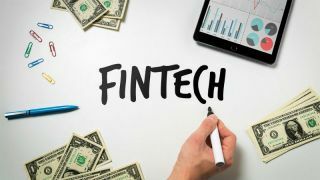 We will likely hear a great deal more about fintech startups in the UK as we reach the end of the fourth quarter and see if the $2 billion barrier will be broken.